Jimmy Muller, an NSCA Master Class shooter, is the heart behind Muller Chokes. A FITASC, Sporting Clay and 5-stand competitor, Jimmy's passion for shotgun sports began in the duck blinds at the age of 5 with his Dad, a Master wing shooter. From his childhood, Jim was driven to excellence in his sport. "I wanted to improve my wing shooting in hopes of being almost as good as my Dad," he says. "Luckily, I discovered Sporting Clays--a sport that has allowed me to interact with great people while doing something that I love." Jim's impressive early successes in Sporting Clays and FITASC led him to compete with some of the best around. Jim was always interested in the conversations on the course where the talk often revolved around the performance of extended choke tubes. These after-market tubes were said to be a 'must have' for competition due to better patterning results and ease of changing when compared to shorter, flush-mount style choke tubes that required a wrench. The downside? Well, any seasoned shooter would tell you straight up, "It's the weight...the added weight of a long and heavy steel choke tube." This gave Jimmy something to think about. As an avid duck hunter, he was used to a heavy, muzzled gun. It wasn't long before he came to understand what everyone was talking about. "That extra forward weight turns your sports-car -like shotgun into a brick!" Fast forward to 2010. Jimmy, a 26 year veteran of Aerospace and Defense manufacturing possesses vast knowledge in high precision machined aircraft components. "I'd always wanted to shoot a long choke tube that offered superior ballistic patterns, similiar to a fixed choke gun, but that didn't disrupt the original factory balance point, responsiveness and pointability. The only way I could find to achieve this was to design it myself using materials and processes which would preserve or enhance the characteristics of today's extended choke tubes while weighing much less. After years of research and thought, I have been successful in designing just such a choke tube." Muller Chokes' story is one that is still being written. 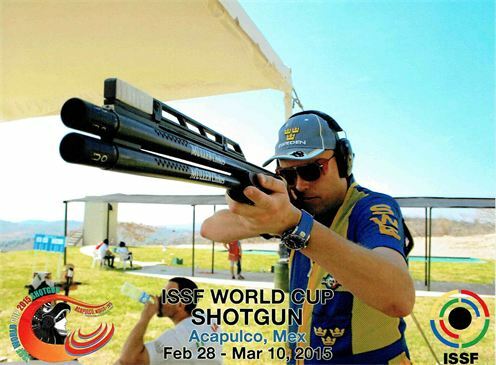 With his chokes gaining in popularity among shooters around the world, Jimmy Muller has changed the landscape of possibilities for shooters of all disciplines. Please stay tuned as the Muller line grows to include a few other products Jim knows you will like.